Going out of town and need a car with driver? How about accomplishing an errand within Metro Manila and need a rented car to do such? Worry no more, as Out of Town Cars also known as OOT is here to solve those problems using the OOT mobile application. OOT enables its riders to book out of town trips through its Outstation service. 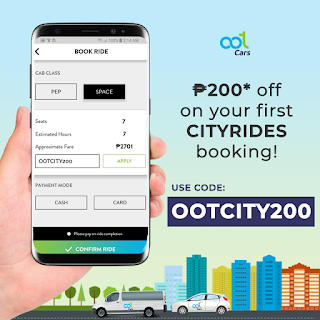 Riders can book any destinations across Luzon. 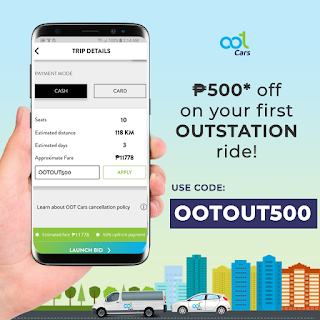 So if you want to travel to key tourist destinations such as Baler, La Union, Baguio, Tagaytay or soak in the beaches of Batangas or Zambales, just go to Google Playstore, search OOT, press download, register your personal details and book! So what are you waiting for? Download OOT now in Google Playstore or thru this link bit.ly/2SAzVYq and explore the amazing places that Philippines has to offer. OOT will begin its soft launch on January 15 so see you onboard soon!